Hi there! I’m proud of my clever post name, you’ll see why in a minute. Ha. Bad news: unfortunately, my (mom’s) camera could not be resuscitated. The poor 2 year old Canon PowerShot SD750 is dead. Alas, I won’t let this stop me! Although sort of unappealing, camera phone pix will have to do for a while. 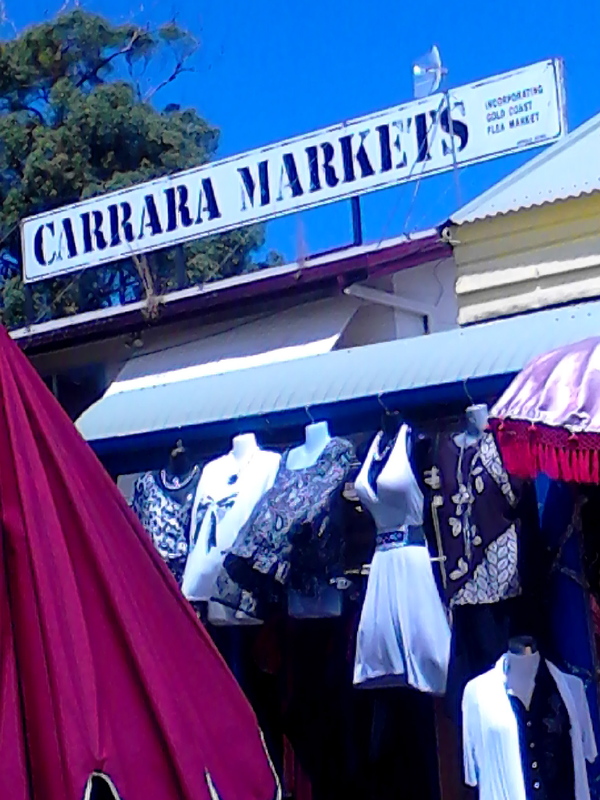 So like I said, Steph and I went to the Carrara Markets yesterday. My hopes were high, but they were most certainly not met. It was sort of like a huge flea market with tons of clothing, souvenirs, fresh produce, jewelry, candy, cafes, furniture, posters, etc. You name it – they pretty much had it. Too bad it sucked, I was totally not feeling it at all. 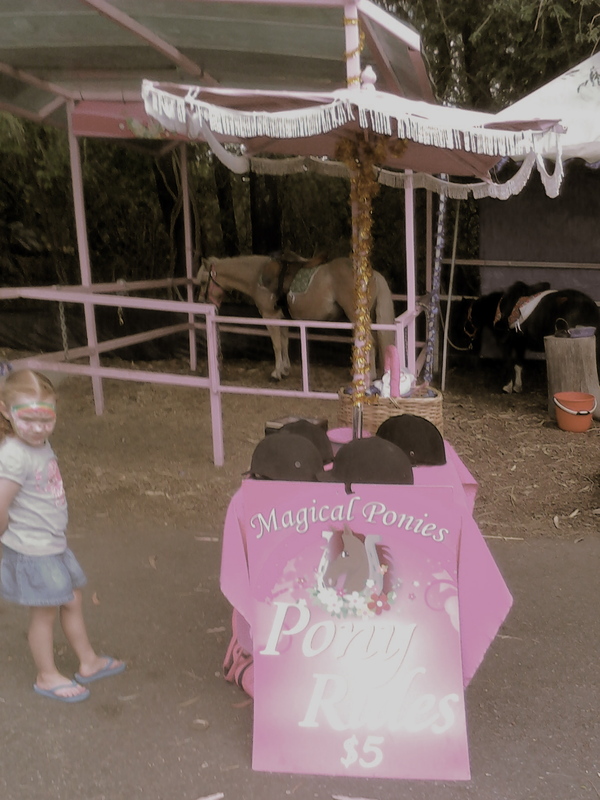 Everything was just ‘so-so’… besides the food that I bought. Ha, of course – right? I bought more zucchini (YAY), a couple avocados & the biggest head of lettuce I have ever laid my hands on. All of that for 5 bucks… not bad. I also sampled tons of delicious fruit there: mango, pineapple, peach, watermelon, grapes, rock melon (Australian term for cantaloupe) and probably more that I cannot remember. I was hungry, so I ate whatever I could (for free… tehe). I ended up buying a banana to eat, along with a couple peaches. Mmm peaches. So ripe, so beautifully delicious. HAHA just kidding…..obviously. Although my friends would probably tell you that I would in fact do something like this. After eating fruit all day long (I also ate a pear on the way there), I was craving something salty. Something substantial, ya know? 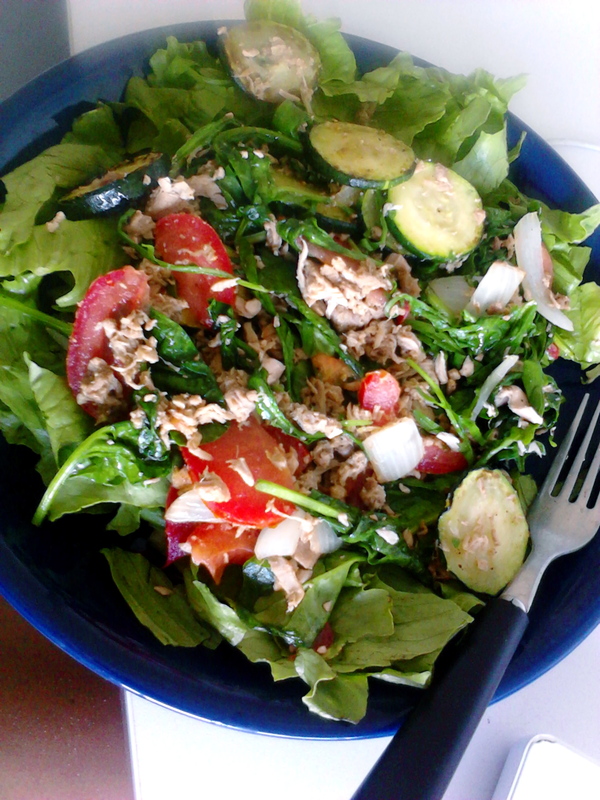 I cooked my newly purchased zucchini with spinach & rocket mix along with canned tuna and onions. I have never cooked canned tuna, but I wanted it warm. 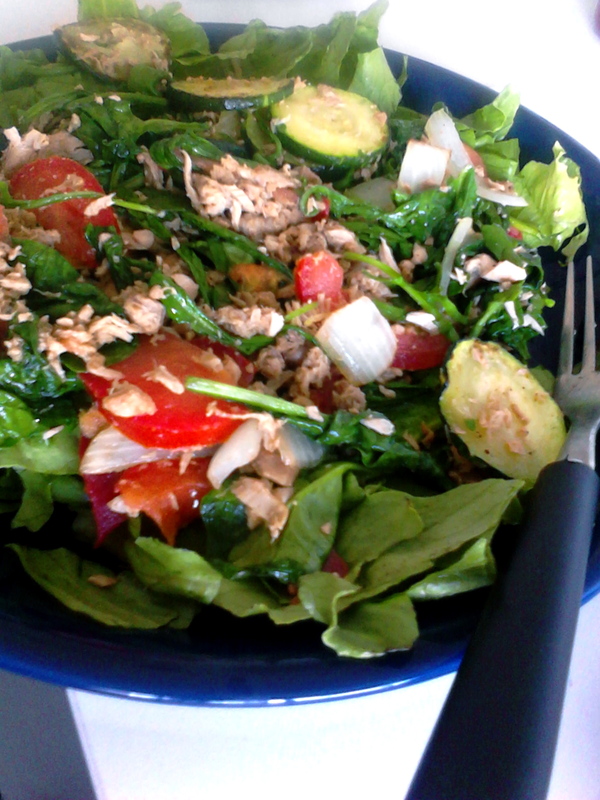 It came out nice – if you do this, make sure you use enough oil otherwise the tuna will dry it all out. I also added tomato. Then piled it atop lettuce. I think I sprinkled a lot of chili powder because it was pretty spicy. I liked it! Yes, I was laying down and eating two squares of pure yum. 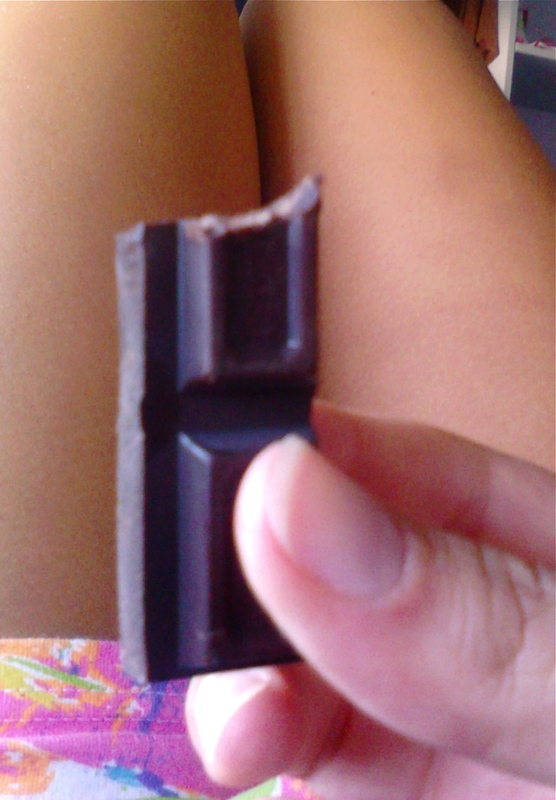 Nothing in the world tastes better, I am infatuated with chocolate. I was planning on eating a late dinner because my salad was sort of a late lunch (4pm) but I ended up just having this lovely piece of dark, chugging lots of water and then a nectarine later (go figure…more fruit). Breakfast time NOM NOM NOM! Theme: tropical. I wasn’t planning on trying something new today, but then I opened up the cupboard and saw a poor lonely orange. I felt bad, so I decided to eat him…in my oatmeal! How unique. I also thawed a very ripe banana. I love how the sun is shining on the orange. Apples and bananaaaaaas…. 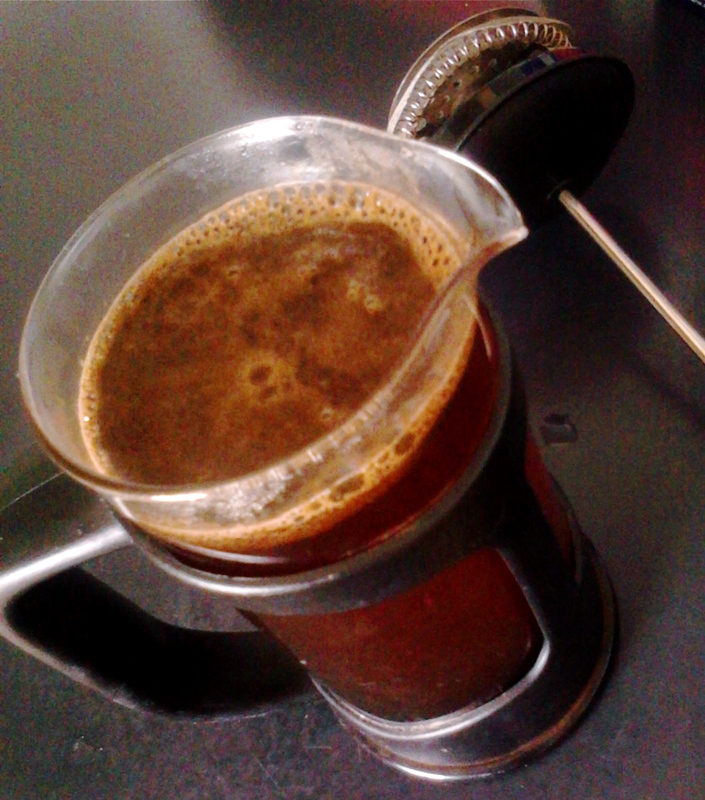 As I brewed my coffee… today definitely feels like a coffee day… I cooked up some tropical flavors. It turned out better than expected. I’m going to make this dish again, once I get my hands on more naners. Cook the oats, water, banana, cinnamon, flax and salt in a saucepan (medium heat or so). All it takes is about 2 minutes while constantly stirring. Make sure you mash up the bananas as your stir…hello creaminess. Do this while gently toasting the almonds stovetop. 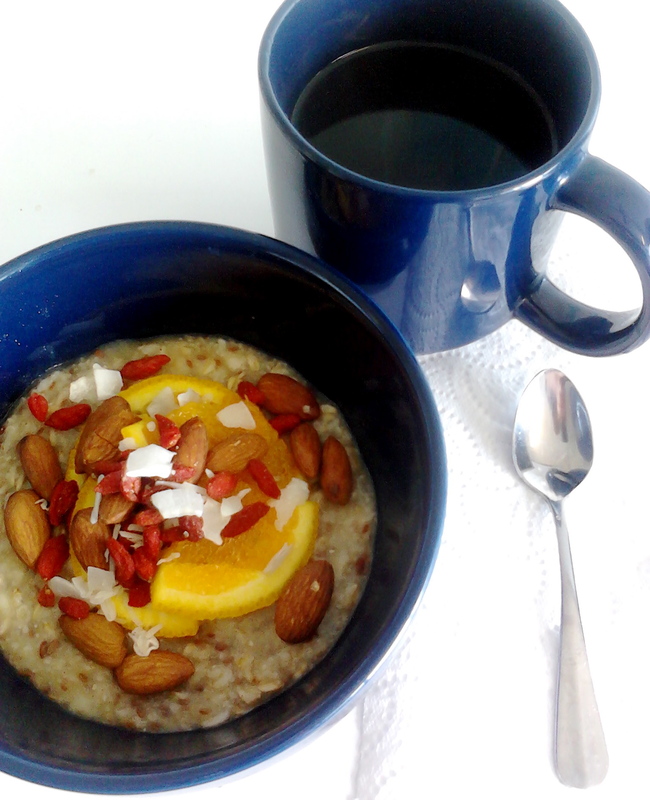 Cut an orange in half and squeeze the juice from both halves into the oatmeal (watch out for seeds!). 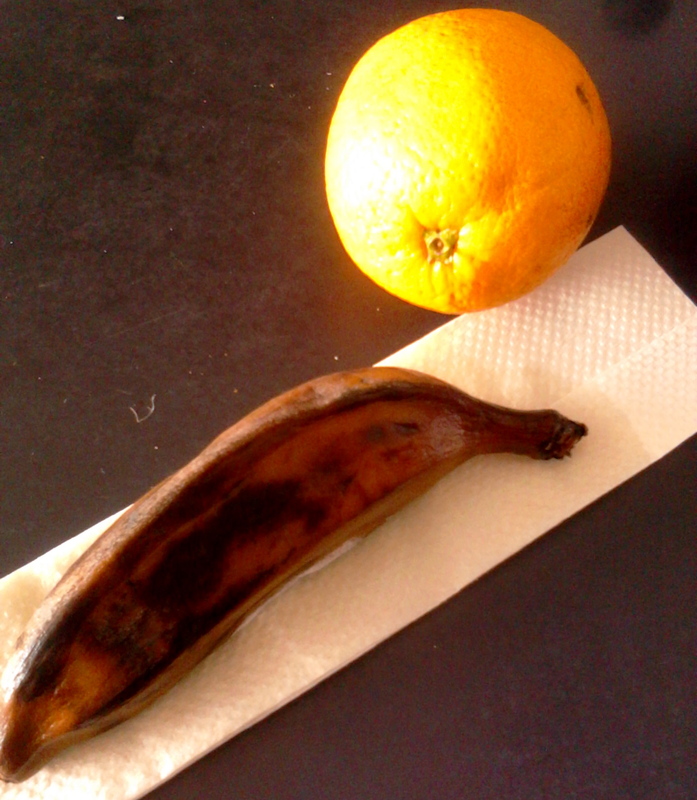 I saved a couple pieces to use as a finishing touch (which actually tasted really good…warm oranges – who knew?). Stir up for another minute and then dish ’em up! 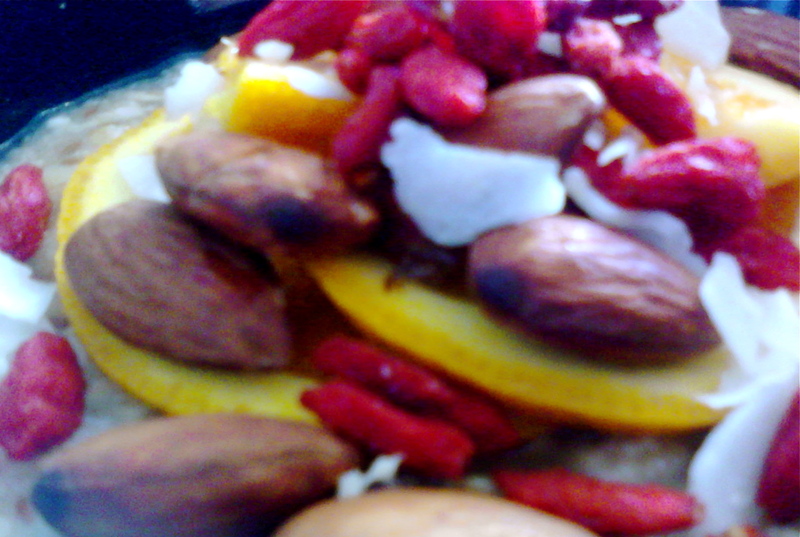 Finish with the toasty almonds, goji’s, coconut, and (optional) orange slices! I was inspired by the orange in my oatmeal today (it’s the little things you know) so I think I’m going to try a dark chocolate & orange oatmeal soon. Perfect pairing… will it work in oatmeal? Dun dun duuun, tune in next week to find out. My plan is to do some interval running today (after realizing the gym is only open from 12-5 on Sundays…silly Australians & their different schedules). I’ll have to log in my workout at Dedicated December! Yippee. My Tweets – Follow Me!